The owner of the closed down Revel Casino Hotel in Atlantic City, Glenn Straub, has announced that he is suing the state of New Jersey for allegedly making him pay much higher taxes than he is actually due. He claimed that the state has asked him to pay a tax bill that is USD $3 million more than what it should be for a casino property that is yet to become up and running. The unexpected tax bill came as a result of a financial rescue plan that Atlantic City opted into earlier last year to escape bankruptcy. In May of 2016, officials representing both Atlantic City and the state of New Jersey reached an agreement to implement a two part rescue plan to counter the looming bankruptcy threat on the seaside resort town. Firstly, the parties laid down the plans for the take- over of the city by state authorities from New Jersey. Secondly, a PILOT bill was introduced to guarantee a steady flow of taxes for the city, while their economy was in recuperation. The PILOT bill, which is also known as the Pay In Lieu of Taxes bill is a ten year plan. It calls for the casinos in Atlantic City pay an additional USD $120 million to the local government between the years of 2016 and 2024 instead of property taxes. The measure was intended to stabilise the city’s tax collection base. A number of costly casino tax appeals saw the Atlantic City’s taxes fluctuate wildly over the course of a few years. These left a large budget deficit in the tax base, which together with certain remnants of economic damage from the Great recession caused the bankruptcy threat in the first place. According to the Press of Atlantic City, after the tax bill was sent to Polo North Country Club, Inc., Glenn Straub, the owner, asked a Superior Court judge to remove his property from the list of casinos that are taking part in Atlantic City’s PILOT programme. He said that because the Revel Casino and Hotel is not currently in operation, his property should be taxed as an empty building and not an operational casino. He also reminded everyone that his property was already closed when the legislation took effect, last year in November 2016. Straub filed his lawsuit in Atlantic County Superior Court on the 14th of October 2017. In court filings, he mentioned that he bought the defunct property after it had already stopped being in service. As he has never owned the property while it served as an active casino, he believes, it should be exempt from the programme. Atlantic City was hit hard by the economic losses during the Great Recession. The east coast gambling hub never fully recovered from it. The previous owners of the Revel Casino and Hotel closed the business down in September of 2014, after only two years in business. Straub bought the property in August of 2015for USD $82 million at a bankruptcy auction. He is yet to reopen its doors to the public. Straub is clearly unhappy with what has transpired. He highlighted that the state authorities are the ones who have declassified the Revel from being a casino until he renews or acquires a new gambling license. 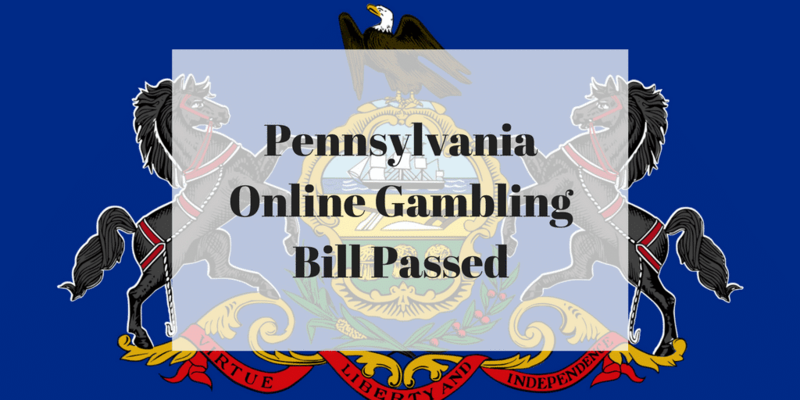 However, the same people have now sent him a tax bill that is being charged at the rate of taxes applicable only to active casino operators. He said, “It’s (the PILOT) crazy, “It’s not a casino, because the state says we need a license. They are penalising us millions and millions of dollars.” This is not the only time Straub has gone on to file a lawsuit against a state agency. Straub also appealed a state Casino Control Commission ruling that required him to get some type of casino license before he could reopen the property as a functional gambling venue. Straub’s company is the third entity to file a lawsuit against the state over the PILOT Act. Earlier this year, in May 2017, Liberty and Prosperity, a constitutional advocacy group, also sued the state to block the new law. A few months later, also in September of this year, Atlantic County filed a law suit against the plan as well. They claimed the PILOT Act was unconstitutional. The county claimed that if they did not receive at least a 13.5 per cent share of the PILOT revenues, it will lead to tax increases for the general public. Earlier this year, Judge Julio Mendez combined the county as well as the Liberty and Prosperity suits into one court hearing. A hearing on motions in the case has been scheduled for 9:30 a. m. of the 30th of November 2017. The county executive, Dennis Levinson, expressed his lack of faith in the PILOT Act, He said that deep inside, the authorities are aware that this scheme is likely to fail. Levinson said, “The state knows in their heart of hearts that they are fighting a losing battle.” He added that despite knowing how ineffective the programme is, state officials from New Jersey are adamant in its potential. They are the only ones pushing it forward. The state Department of Community Affairs was contacted for comments on the ever increasing list of companies pushing to opt out of the PILOT Act. The department is in charge of overseeing the takeover of the city’s finances. They did not return the requests for any comments. The Revel Casino Hotel Atlantic City was the northernmost casino on the Atlantic City Boardwalk, built over a 20 acre piece of land, adjacent to the Showboat Hotel and Casino. Revel opened on the 2nd of April 2012 and amidst the global recession, after declaring Chapter 11 bankruptcy for the second time, it became the third of the four casinos to close in Atlantic City, on the 2nd of September 2014. Revel’s hotel tower was the tallest structure in Atlantic City and the second tallest in the state if New Jersey. At 710 feet, it also held the record for being the second tallest casino tower in the United States. Revel Atlantic City had 130,000 square feet of gaming space, which featured more than 2,500 slot machines and 120 table games. The Casino Hotel also featured two nightclubs, 13 restaurants, two live entertainment venues and multiple swimming pools. The resort housed a 2 acre landscaped rooftop deck, containing outdoor pools, cabanas, fire pits and a “pine grove,” with more than 30,000 live trees and plants. Construction of the resort cost around USD $2.4 billion. Global financial company, Morgan Stanley that owned a 90 per cent stake in the business decided to walk away from their investment in 2010. However, on the 1st of February 2011, as part of the plan to revitalise Atlantic City, the state of New Jersey agreed to provide the stalled project with tax incentives of up to USD $261 million in exchange for 20 per cent of certain equity distributions. Despite the promise none of the money was ever paid to Revel. On the 17th of February 2011, Revel Entertainment Group, LLC announced that they had completed a USD $1.15 billion financing package, which then enabled the company to complete their remaining construction. The casino did not have a great start. Shortly after opening to the public in the second quarter of 2012, they reported a loss of USD $35 million and another loss of USD $37 million was reported in the 3rd quarter of the same year. After a financially turbulent half year, on the 19th of February 2013, Revel announced that they were filing for Chapter 11 bankruptcy. As part of their bankruptcy filing, they declared that the casino's value had dropped from USD $2.4 billion to USD $450 million, and predicted that Revel would not be profitable until 2017. Unfortunately their measures to attract customers failed and on the 19th of June 2014, Revel once again filed a Chapter 11 bankruptcy petition and finally, on the 12th of August 2014, announced that no suitable bids were received and the property would have to be closed down on the 2nd of September 2014. On the 22nd of September 2014, Kevin DeSanctis, the former CEO of Revel Atlantic City announced that they were terminating their license agreement as well. Brookfield US Holdings LLC, a Toronto based company won a bankruptcy court auction for Revel on the 1st of October 2014, with a bid of USD $110 million; they planned to quickly reopen the casino without making many changes to it. Unfortunately, Brookfield Management backed out of this deal on the 19th of November 2014 and on the 11th of February 2015, a federal bankruptcy judge approved the sale of Revel to Polo North Country Club, Inc., led by a Florida based developer, Glenn Straub, who had been selected as the backup bidder, in the event Brookfield did not manage to close the deal. After a series of further legal complications, Revel was finally sold to Glenn Straub's Polo North Country Club for USD $82 million, on the 7th of April 2015. Straub's company, Polo North Country Club, Inc., decided to choose TEN as the brand name for the new casino resort. The number 10 signifies the highest standard of achievement and has always been used as a benchmark for excellence and quality. The TEN Casino Resort Atlantic City will be using a double loop infinity symbol for their logo and promises to provide patrons with a Las Vegas style experience right on the beach of the Jersey Shore. Since the acquisition of ex- Revel property in April 2015, Straub has been faced with numerous legal challenges and hurdles both from the property’s former vendors, as well as the Casino Reinvestment Development Authority. Straub had initially promised to open the newly rebranded facility to the public on the 15th of June 2016, but was unable to meet that deadline. With legal limitation piling up, he even threatened to walk away from the project altogether earlier this year. He claimed that the state of New Jersey was making things difficult for his company and had provided them with no assistance towards completing the required renovation works on time. The recent tax dispute adds to Straub’s list of problems that have stacked up against him in his bid to reopen the rebranded TEN Casino Resort Atlantic City.